The European standards of high quality and performance have gained a large market share for our production in the world of machine tools. The perfect organization, correctness and flexibility of work, makes the company desired partner, proven on the Bulgarian as well as on the international market. 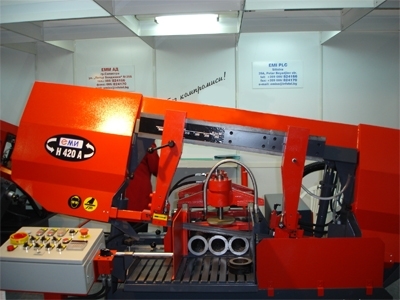 "EMI" - JSC - saw cutting machines. Bulgaria, Silistra, 39А "Petar Boyadjiev" str.